Unfortunately, power and water outages happen. 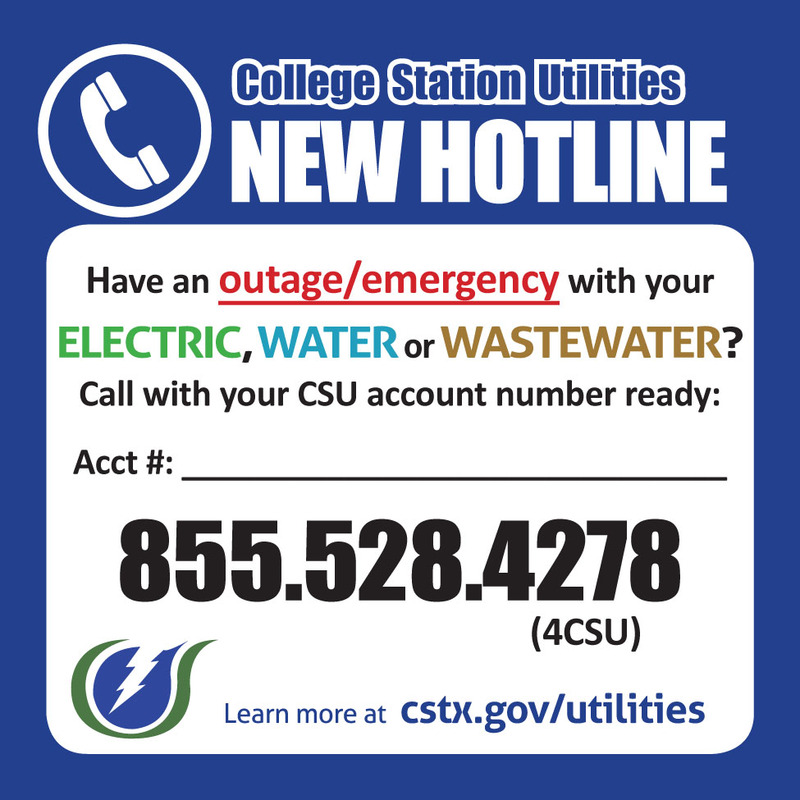 When they do, it’s important for College Station Utilities customers to let us know promptly. If you simply assume your neighbor has already reported it, service restoration may be delayed. Your timely report also helps us determine the size of the outage. Of course, you may be one of the many customers who have tried to call our emergency number but received nothing but a busy signal — if you weren’t dropped completely. When your lights are out, it can be a highly frustrating experience. Thankfully, those days will soon be history. Okay, we admit it. We’re not perfect. But we were awfully close in the annual audit of College Station Utilities’ commercial sanitation billing. The audit revealed that out of about 980 commercial accounts, we had a single error. That’s right, just one. And it was for an under-billing. Can you imagine a major league baseball player who made just one error in 980 chances? College Station Utilities takes pride in producing accurate bills to our customers. In most cases, the service level doesn’t change once the account is set up, except with commercial sanitation billing. Businesses are provided services and charged by a variable rate schedule that depends on the volume of waste they generate. This means they can change their internal procedures to change the amount of waste they produce. When this happens, we may need to adjust the number of days we collect their waste, or we may even need to remove their container and place a different one at their location. The billing is then changed to reflect the new level of service.